I read this article and found it very interesting, thought it might be something for you. The article is called Dental X-Rays and is located at https://www.dencaresmilecenter.com/dental-x-rays/. 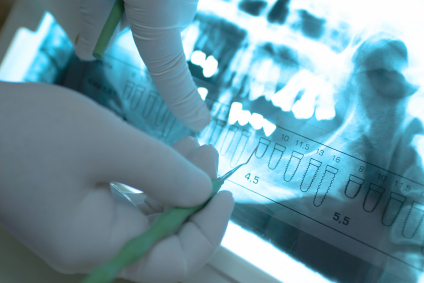 Dental X-rays are special images that allow your Den-Care Smile Center dentist to get a closer look at the structures inside your mouth, including your teeth, the roots of your teeth, your bite, and your facial bones. Dental X-rays may also be done as follow-up after dental treatments. As part of a regular dental checkup, you may require X-rays from time to time. These can help show what’s going on beneath the surface. The dentist will then keep these as a record of your jaw development and tooth placement, so that these records can aid in further treatment plans. There are two types of X-rays that are taken as part of this screening process: intraoral, or X-rays taken inside the mouth, and extraoral, meaning that the X-ray is taken outside of the mouth. The majority will be the intraoral type, which serve a wide variety of general dental purposes. 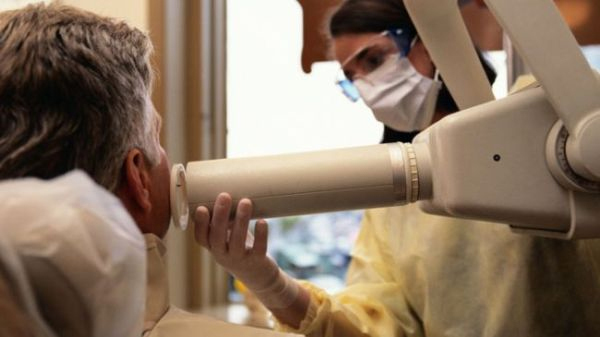 Some of the benefits of intraoral dental X-rays, for example, include providing details for your dentist such as the health status of the tooth root and the bone that surrounds the tooth. This is also a highly focused way to detect cavities and check how teeth are developing. These fall into three categories, all of which show different views of the teeth. Bite-wing, periapical, and occlusal X-rays work together to give a full view of the structure and health of the teeth, and can point out tooth decay that isn’t obvious on the surface. The second type of dental X-ray is extraoral. These still show the teeth, but they have a wider focus that also includes the skull and the jaw that is supporting the teeth. 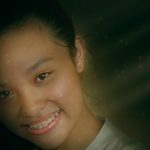 Because the focus is on the surrounding picture, these do not detect tooth decay or cavities in individual teeth like intraoral rays are able to do. However, these are useful because they can help the dentist to keep track of any development of the jaw, impacted teeth, and growth of the bone structure that supports the teeth. It is an excellent way of screening for developing issues in children, as well as showing cysts, tumors, abscesses and other dental problems. For a full view of what’s going on in your mouth, and to keep an ongoing record of this growth and any changes that have occurred, your dentist will ask to have dental X-rays performed during annual checkups. This is the best way to locate any potential problems early on, before decay starts causing tooth pain or other problems within the jaw. Another benefit of X-rays is that they are helpful for tracking the development of teeth in young people, who will have their baby teeth fall out to be replaced by more mature teeth as well as wisdom teeth. 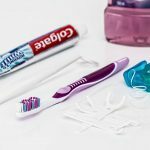 By following these changes closely, the dentist can best work out a treatment plan to suit every individual. Depending on your dental health history, you will probably need to have dental X-rays taken from time to time. Dental X-rays allow your dentist to more closely monitor the health of your teeth and gums, so that changes and problems can be detected early, when treatment is most effective. If you have questions, concerns, or comments about dental x-rays, we invite you to contact our North Chicago IL Dentist Office or one of our Dentists in Round Lake Beach, IL today. Dr. Gustav Kozina and the professional staff at Den-Care® Smile Center will be happy to provide you with more information about General Dentistry, Dental X-rays, Oral Exams, Cleanings, Oral Cancer Screening, Tooth Extraction, Dental Implants, Dentures, Braces (Orthodontics), Veneers, Porcelain Crowns, Cosmetic Dentistry, Teeth Whitening, Tooth Bleaching, Periodontal Care, Gum Disease Treatment, TMJ Treatment, Bad Breath Treatment, Dental Emergencies, Fluoride Treatments, Teeth Grinding, Dental Sealants,Snoring Appliances, Night Guards and more.